Zinfandel is a red-wine grape originating in the Puglia region of southern Italy, where it was and is known as "Primitivo" (and possibly it was grown in Croatia even before that); but its fame arose from its development in California, where its ultimate source was long a much-debated mystery till recently modern DNA identification pinned that source down. Amador County: big, full-bodied, extra-ripe and thus jammy, briary, and brambly, with aromas of sweet berries. Santa Cruz Mountains: complex and deep. Dry Creek Valley: juicy, with bright fruit, balanced acidity, and notes of blackberry, anise and pepper, often spicy though balanced. Paso Robles: soft and round. Napa Valley: plummy and intense, tasting of red berry fruits with cedar and vanilla; tends toward claret styling. Russian River Valley: typically spicy and somewhat lower in alcohol than most Zins; in poor years, unduly acidic. Mendocino County: "high quality" (style unspecified). Lodi: juicy and approachable, often from old vines. High alcohol is not an artifact of Italian winemaking: it is natural to the grape. Many California Zins are quite high in alcohol (often to a greater extent thatn the label shows, as there is more legal slack in that number than is commonly realized); numbers like 15% or even (though rarely so labelled—winemakers are allowed +/- 1.5% leeway, which is a lot) 16% are not uncommon. Consequently, many Zins will taste as "hot". Nonetheless, most serious makers seem to feel that vinifying for lower alcohol tends to lose the nature of the grape (and terroir), and they hold that the tannins and other flavor elements make the wines quite drinkable even at such levels. As you see, it is hard to generalize about the nature of Zinfandel wines, but broadly speaking, one expects a full-bodied, assertive wine tasting deeply of dark red fruit (notably cherry) and with a good deal of "oomph". There are lighter-weight versions as well, but Zin is rarely (if ever) a wine of delicacy or subtlety. Because Zin is so popular (and such a good-selling wine), there is an awful lot of mediocre Zinfandel out there. Little or none is actually awful, but "Zin" is now like "Chard" or "Cab", a mass product that the lesser makers would like buyers to think of as fungible. More than ordinary care is wanted in selecting Zins to drink. Factoid: Zinfandel represents about 10% of all wine consumption in the U.S., but the dire white goop outsells real Zin by about 6:1. Sigh. "The grapes typically produce a robust red wine . . The grape's high sugar content can be fermented into levels of alcohol exceeding 15 percent. The taste of the red wine depends on the ripeness of the grapes from which it is made. Red berry fruit flavors like raspberry predominate in wines from cooler areas, whereas blackberry, anise and pepper notes are more common in wines made in warmer areas and in wines made from the earlier-ripening Primitivo clone." "Zinfandel is not the rage it was in the 1980s and early 1990s, as there are now too many wines made from overripe fruit or from young vines, or overwhelmed by excessive use of new barrels. Today's Zinfandel styles range from elegant, taut, and claret-like midweights to superripe and potty behemoths, with off-the-charts alcohol levels, distinctly exotic character, and, frequently, noticeable residual sugar. Classic Zinfandels are normally medium to full in body, with fruit-driven aromas and flavors of fresh berries, black pepper, and spices, sometimes with notes of citrus zest, chocolate, and briary underbrush; they are rarely overwhelmed by oak notes. Many of the best producers continue to work largely with very old vines . . . which give consistently low crop levels and make wines with atypical creaminess of texture, aromatic complexity, and aging potential. " "Zinfandel has high acidity which is often described as tasting ‘spicy.’ Berry flavors are dominant, from strawberry to blackberry bramble, depending on the ripeness. If you like 5-spice powder, cloves and cinnamon look for oak-aged Zinfandel. If you like lighter and more delcate wines look for less oak. Alcohol level matters. Do you want a richer Zinfandel or a lighter Zinfandel? The easiest way to tell how a Zinfandel will feel is to look at the alcohol level. Riper Zinfandel grapes produce wines with higher alcohol. Riper = richer darker ‘sweeter’ tasting Zinfandel." "It offers an array of flavors including black and red fruit, spice, pepper, tar, licorice and wood. Zinfandel is produced in three distinct styles. The first is the fresh and fruity, easy-drinking style that offers charm and balance with light tannins, followed by the medium-bodied, fuller flavored Zinfandels with noticeable spiciness and ripe tannins. This is followed by the big, concentrated and powerful style with intense fruit and unbelievable richness." "Zinfandel, meaning the red wine, is known for its rich, dark color scheme, medium to high tannin levels and a higher alcohol content. The Zinfandel feature flavors include: raspberry, blackberry, cherry, plums, raisins, spice and blackpepper all wrapped around various intensities of oak." "Opinions about how to classify this grape have also shifted continuously, as consumer whims have tested Zinfandel’s ability to play the chameleon. Zinfandel has delivered not only zesty, berry-fruity reds, but spicy tannic beasts, vin nouveau, and tart, intriguing roses. There have also been soft, simple and sweet blushes, unusual sparklers, dessert and fortified wines, and nearly combustible, highly-alcoholic versions." "The California wine country’s warm, easygoing weather gives Zinfandel a jammy, juicy fruitiness (except when it’s made into dull, lightly sweet white Zinfandel). Typically high in both alcohol and flavor—boysenberries with a touch of brambly spiciness—Zinfandel is the perfect cookout wine, great with grilled burgers, sausages or chicken, or even chips and dip." "In general, Zin shows two styles: one from warm, inland regions, the other from cool-to-warm regions where the vines experience some maritime influence. The former tends to be higher in alcohol, the latter a little more elegant, but neither is “better.” It’s all a matter of taste. 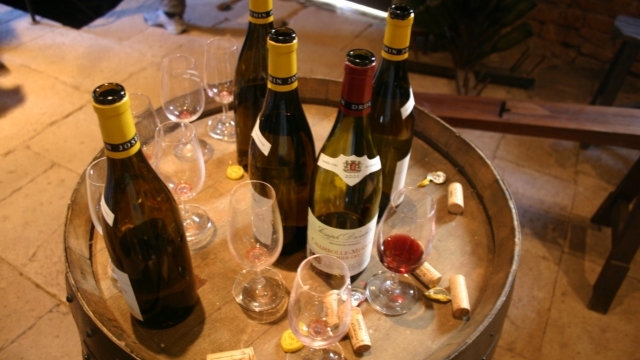 Keep in mind, too, that vintners have several techniques for adjusting alcohol downward. So even warm-climate Zins that got very ripe can still have moderate alcohol levels." We thought this would be a cakewalk, selecting from the countless Zins out there; it was not. The chief block is that these are California wines, meaning they cost about double what wines of corresponding quality from elsewhere in the world cost. Nonetheless, "It was a tough fight, Ma, but we won." ♦ This approachable wine from the Fetzer organization was aged in Bourbon barrels. It has good balance, wonderful fruit flavors, a polished texture and lingering finish. Dark in color, the aromas suggest ripe berries and cherries, and the flavors flow similarly rich and deep. 91 points, Editors' Choice. ♦ [I] didn’t have high hopes considering how rocky a start this category [barrel-finished] has gotten off to, but this is a wine that comes off quite a bit better than expected. It’s extremely sweet from the get-go, but this is tempered by some big berry notes — blackberry and blueberry, plus ample milk chocolate, vanilla, and some tea leaf. Mild hints of coffee arrive on the finish, adding a layer of complexity I didn’t expect to find. That said, allow me to reiterate that this wine is a true sugar bomb, all jam and juicy raisins overwhelming a finish that may very well come across as simply too much. Those looking for nuance will need to apply elsewhere… but those looking for a well-made curiosity may get something out of it. I’m not saying whiskey barrel-finished wines are going to be a great thing, or even a good thing… but if you are going to give one a try, 1000 Stories, for now, is the bottle to grab. Grade: B. ♦ The 1000 Stories Zin is a dark inky purple with a blood red hue. The stain on this wine is very high and just by the looks of it you can prepare yourself for purple teeth. On the nose the wine has big red Twizzler, vanilla, and butterscotch, Werthers Original style, aromas. On the palate the wine has a very full body mouthfeel, not the fake extracted syrup fruit that you often get from mass produced cheap red blends, but real fresh, rich, overripe strawberry and blackberry fruit. The wine is a fruit bomb but a real natural fruit bomb that has a sense of order and class. Most fruit bombs are like Mike Tyson, yes they are strong and powerful but they lack a sense of discipline and class. This fruit bomb is more like Joe Lewis, a great fighter that was classy and refined, but still a bomber. This wine is also a closet oak bomb…but it is in the closet! It’s a wild ride and it had me really trying to figure out its oak characteristics. I was on the fence but as the wine lingered on the finish it became clear to me that this wine is its own, unique version of a rather overdone style in California. 90 points. 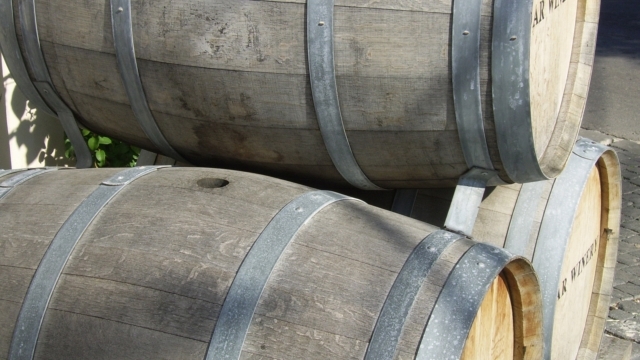 ♦ Zinfandel, no stranger to American oak, can stand up to these carbonized barrels. Fetzer sources the Zinfandel for its new 1,000 Stories from Mendocino County, and makes the wine in three separate, 5,000-case lots. After a traditional soak in French and American oak barrels, part of the blend enjoys new bourbon barrel treatment, but then the blends all undergo ageing in old bourbon barrels from different distilleries. The lots are referred to as “small batch,” appropriating the vernacular from the craft spirits world. A taste of 1,000 Stories Batch 2 Zinfandel revealed subtle whiskey flavor surrounded by rich, jam jar black fruit, smokiness, and a hot finish. A swath of vanilla-tinged bourbon follows the sip, something I’m sure the winemakers intended. ♦ The eye is a super dark purple. Its almost black. It has a beautiful nose. Its the perfect marriage of wine and bourbon. There are spicy grapes and sweet caramel and vanilla intermingled throughout. The taste is smooth. Loads of semi-dry grapes married together with caramel notes. The finish is short and semi-sweet. $18 is not a bad price for a quality wine. Its right in my wheelhouse. You’ll have to decide for yourself if its in yours. Its evident throughout that this wine was aged in some fantastic bourbon barrels. This is a great wine. I could pour myself a glass every evening. If you can find it I recommend picking up a bottle or two. 92 points. ♦ I tasted the wine by itself and later with dinner. By itself I couldn’t tell whether I liked the wine or not. It took some getting used to. There is definitely a touch of bourbon character to this wine. Later with dinner, a grilled pork chop with some BBQ sauce, I liked the wine much better. This Zinfandel is like no other…I think it is worth a try. My guess is that someone who likes Zinfandel, bold ones, and bourbon will certainly find this wine likable. ♦ This classic, versatile, dry table wine has everything in good proportions, from a cherry-like aroma to ripe but not cloying fruit flavors. The moderately tannic texture has an appetizing bite. It's something that can be enjoyed with almost any meal. 90 points. ♦ I really enjoyed this wine as it was a welcome departure from the overly ripe simplistic fruit bombs I’ve been running into lately. Blackberry, black pepper, full bodied, medium/high tannins and medium acidity. The wine evolved quite nicely over my 24 hour tasting period. I recommend decanting for at least an hour or two on this wine as of right now ([2012 in] Oct 2014). 92 points. ♦ Paul Dolan’s 2005 Zinfandel is a vivacious and juicy wine, with flavors of dark berry jam and a distinctive cracked pepper spice. Vinified from organically grown grapes from both Mendocino and Amador Counties in California, this Zinfandel sees 11 months in the barrel, and once bottled, it shows wonderfully complex character. 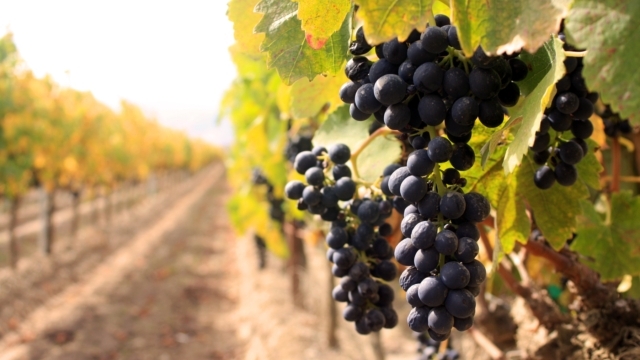 ♦ There is a lot of awesome Zinfandel fruit being grown in Mendocino County; that being said, not all Zinfandel wine produced from Mendocino County fruit is great. This Mendocino Zinfandel is light in style with dark blue fruit and fresh cracked black pepper aromas, and made from 100% organically farmed grapes. The flavors of dried cherry, spice, and sage dominate the mid-palate. The structure and textures are not as dense or rustic as most 2012 Mendocino Zinfandel. Comparing this wine to past vintages one might wonder if the source of fruit or the winemaker has changed. One thing for certain Paul Dolan wines has made a departure from the style of wines I have tasted from them in the past. Rating: Good (84 points). ♦ From organic and biodynamic vineyards, a rich wine coming down with ripe blackcurrants and plum jam. ♦ This [2005 vintage drunk in 2012] proves that holding onto a wine (or in our case, burying it in the back of the cellar) is a good thing. Aromas of blackberry and plum fill the glass. Hints of cigar box and dried herbs are hanging in the distance. The palate is soft with dark berry fruit, blackberry and vanilla. There is a soft lingering of a peppery spice on the finish. ♦ This is almost all zin, 99%, with 1% syrah added…In my glass, it had a surprisingly light color, like a garnet in the sunlight. It was clear all the way through and reminded me of some California pinot noirs, the ones that are bastardized with syrah. After waiting an hour for the wine to open up, I swirled and sniffed the 2009 zinfandel, finding ripe black cherry and blackberry aromas, spices, crushed pepper and even a hint of something delicate, like dried flowers. Needless to say this is somewhat atypical of most zinfandels out there but speaks to another of Paul Dolan's wines expressing it's sense of place, or where the grapes are grown. I loved the bouquet, loved the complexity and the fact that it wasn't the same old, stewed blueberry/blackberry oak monster that is so often made here in California. Tasting the wine was another great experience, with a lot of grippy tannin framing blackberry and baking chocolate, white pepper, red currants and that same green, stemmy note from the cabernet. There was a good layering of acid throughout, maintaining balance between dark, ripe fruit and the wood/bittersweet chocolate. Very, very impressive to me. The complexity shows what is capable with zinfandel, and this is one I would happily age for a few more years to see what other flavors came out to play. I love how mouth-filling it was, with the acidity hitting the roof of my mouth, the tannin and pepper the sides of my tongue, and the core of fruit plopping down smack in the middle of my tongue. That's not to say it was overripe though, again I go back to how balanced and interesting this wine is…This is an easy A- (90 points) and another STRONG BUY recommendation. ♦ The Quivira 2011 zinfandel from Dry Creek Valley is aromatic, with notes of black cherry, raspberry, vanilla bean, pencil shavings, and anise. Backed by a firm acidic backbone and moderate smooth tannins, the palate has notes of juicy fresh strawberry, minerality, cracked black pepper, clove, and a lengthy wild berry finish, with a little heat. Overall, the wine is well-made, demonstrating restraint and finesse, and it’s a good value for money. You can enjoy now but it will hold for a few years. ♦ At just under 20 bucks, this 2010 zin has some really impressive characteristics. It’s layered with flavors of fruity berries without being too jammy: a hint of raspberry in the high notes with plum and black cherry lingering beneath. And it’s punctuated with a splash of pepper, resulting in a yummy concoction of fruit and spice. Beautifully balanced, this one pairs great with most meats, including spicy dishes like steak fajitas (which we paired it with tonight) as well as pastas with red sauce, fish, and olives. An added bonus—we love the vineyard’s commitment to sustainable farming practices and biodynamic winemaking. ♦ Look: This wine is dark garnet at the depth and ruby red at the edges. It has the clarity of a Pinot, and none of the inkiness of some Zins. Smell: Spiced rhubarb pie, served with a side of plum and raisin compote come through in this bold, rustic and fruity nose. Taste: Quivira comes on with a rush of smoked raspberry, anise, bitter chocolate and black pepper with ample alcohol with sleek acidity. ♦ This zin from Healdsburg, California, nips at you with a bit of a tart, almost mouth-puckering feel, though not as a much as, say, a Sauvignon Blanc would. A little breathing time over a meal helps smooth this out nicely. If you are looking for a fruit-bomb zin, this isn’t it. It’s a bit leaner, has berry in the aroma, and lingers with a nice finish – raisin and a hint of smokiness. The reason this might not come across as a traditional zin probably is related directly to the winemaker’s decision to add other grapes - Petite Syrah, Carignane, Cabernet Sauvignon and Syrah – as well as mixing in grapes from varying zin lots. It’s the biggest production wine from the vintner, which makes about 20 different wines. ♦ Crisp and nicely focused, with bright cherry and underbrush aromas and zesty raspberry and herb flavors. ♦ Quivira Zinfandel from 2011 expresses a bright, red raspberry aroma. It’s almost jam-like. Rich and ripe fruit-forward flavors dance on the palate and are nicely balanced. This is certainly not one of those 16-percent alcohol wines. It’s perfect with BBQ ribs or grilled chicken. How about a grilled sausage party? That would work well too. $22 is a very nice price for this bottle. ♦ [T]his one is a quintessential red Zin – brimming with raspberry-like aromas with sweet, jammy highlights – that positively bursts with fresh, zesty, snappy varietal fruitiness jumping out of a dense, sturdy body, without being heavy or dried out with excess tannin. A wine you can drink every day, but never tire of. ♦ [This] is a juicy, smooth blend of estate and purchased grapes, and has lots of classic Zin character in a moderate 14.1 percent alcohol package. ♦ This bright red colored Zinfandel is a reasonably priced good value Zin. It opens with black cherry and red currant bouquet with hints of black licorice and twig. On the palate, this wine is medium bodied, balanced, and juicy. The flavor profile is a ripe red currant and boysenberry blend with notes of cedar and plum. I also detect some old oak and a touch of strawberry licorice and black pepper. The finish is dry and its fruit flavors linger for a while after the wine is gone. 88 points. ♣ International Wine Cellar (date unknown), 88 points. ♣ Wine Spectator (date unknown), 88 points. ♦ This jammy red is full of fresh plum and pepper aromas, with supple raspberry, earthy sage and licorice notes. ♦ Inky purple. Spice-accented aromas of candied black and blue fruits, licorice and cola, with a subtle floral nuance emerging with air. Lush and expansive, offering bitter cherry and boysenberry flavors supported by gentle acidity. Soft tannins add shape to the slightly warm finish, which strongly repeats the boysenberry and spice notes. ♦ Deep red. Pretty, youthful aromas of red berries, cherry, licorice and smoky spices. Juicy and fresh but also supple and ripe, with plump raspberry and cherry flavors supported by gentle acids and tannins. Finishes sweet and smooth, with an echo of red fruit. Uncomplicated and very easy to drink. ♦ This is the most balanced of the winery’s many 2011 Zins. It’s also half the price of the vineyard designates. With raspberry, cherry and cola flavors set in a flurry of spices, it doesn’t have the massive overripeness of the others. But that’s exactly why it’s a more appealing and food-friendly wine. 90 points. ♦ This Zin is medium dark in color with a pretty purple around the rim. Brilliant aromas of blueberry dance with notes of black pepper and sage. The palate is just as fruit-forward, with big blueberry and black cherry flavors residing on base of savory black olive. ♦ For the past three years, anytime I want a Zin, I turn to Peachy Canyon and that was true again at this event. This particular one is very well balanced and just fruit forward enough to be called a Zin. ♦ This wine has a very earthy, acidic, spicy, red-fruited bouquet. This wine smells like it’s going to be a rustic, classic, austere Italian-styled red wine. And based on the fact that I’ve had several vintages of Caparone’s Zin, I would just about guarantee that that’s exactly what it’s going to taste like! . . In case you hadn’t noticed, their Zin is not your typical Paso Fruit Bomb; Caparone’s Zin has only 13.3% alcohol, is unbelievably well-balanced, and has a depth-of-flavor that most Cali Zins would envy. The tasting profile is also atypical of most Paso Zins. Whereas most Cali Zins have a black fruit profile, Caparone’s Zin has mostly, if not all, red fruit in its flavor profile; there’s sour cherry, raspberry, and currant fruit, along with a MOUNTAIN of savory herbs (rosemary especially) and a universe-worth of black pepper as well on the palate. This wine is rich and viscous, exhibiting more terrior than 99.9% of any/all wines I’ve ever tasted. Also contributing to its fabulous earthy/terrior essence, Caparone’s wines are unfined and unfiltered, which, in my opinion, allows the vineyard’s soil and essence to shine brightly. I’ve always felt that fining and filtering wine extracts critical elements (both flavor-wise and terrior-wise) from its profile, and this Zin SCREAMS depth-of-flavor and terrior. I’ve used the term “dirty” wine many times before (wines that parlay their sense-of-place (terrior) as well as earthiness) and this is one dirty wine (in only the best of ways)!! Once again, this is NOT your typical Paso Zin. Whereas most Paso Zins are high-octane fruit bombs with limited depth and soft, silky tannins, this wine is rich, creamy, earthy (“dirty”), spicy-beyond-belief, delicious-beyond-belief, viscous, slightly oaky, with a depth-of-flavor that never seems to cease and a finish that goes on for light years. It is also tannic and acidic, but in only the best of ways; this wine begs to be paired with good food, whereas a typical Cali Zin can be drunk on its own. If you’re adventurous and well-versed on what a good, interesting, not-your-father’s Zin should be like, you really owe it to yourself to give this Zin a try. If you prefer safe, fruity, high-alcohol Zins, look elsewhere. If you like to challenge your preconceptions of what a Zin can/should be, and you’ve had it up to HERE with typical Zins, you truly must give this Zin a spin. It’s fabulous. ♦ The wines are not the hyper-oaked, heavy, fruit bombs that typify the California style. Caparone wines are done in a more time-consuming old world style, with as little processing as possible. They are not fined or filtered. They are barrel-aged for several years and then bottle aged for more. 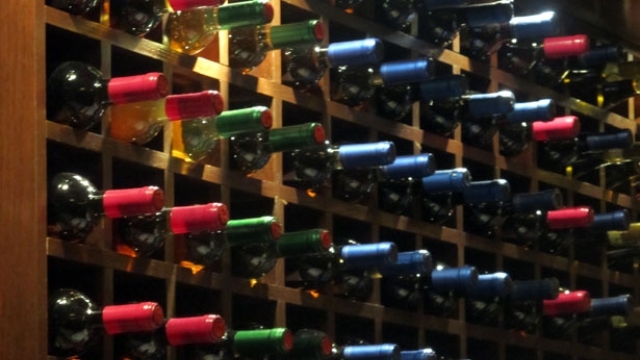 The resulting full-bodied wines are complex, earthy, and food-friendly. The alcohol content is decidedly light for California reds, weighing in at between 13 and 13.4 percent abv. All six [varieties made] are great to drink now, but they’ll continue to develop in the bottle for many years. ♣ We don't normally interject our own opinions in these wine notes, but we have been enjoying Caparone wines for three decades now, from when we lived only an hour's drive away, and they are simply jaw-dropping values. Dave Caparone keeps a very low profile or he could be vastly better known. His was one of the first wineries ever in the Paso Robles area (possibly #6), he was the first in the U.S. (and probably the western hemisphere) to release a varietally labelled Sangiovese, and one of the first with Nebbiolo. His motto is "I make wine for my table, and what's left over I sell," and it's not just a clever shibboleth. All six wines Dave makes are superb values. His winemaking style, the rest of the quotations here will tell you about. And you will notice that Caparone followers are by and large as enthusiastic as we are about his wines. ♦ Medium purple color, showing tart berries and a brushy note on the nose. A lighter style, with more spice showing in the flavors, and surprisingly fresh acidity for a 2004. The tart fruit carries through on the finish. ♦ Not being one to mince words, let’s get this out of the way: I consider this wine to be the best Zinfandel for the money that I have EVER tasted. I absolutely LOVE this wine and consider it to be the Bargain of the Century! I’ve drunk Zins that cost five to six times what this wine cost that weren’t one-quarter as good. Hyperbole? Exaggeration? No! Just the facts, folks. The aroma profile for this fabulous wine exhibits mostly red fruit along with suggestions of black fruit as well, such as cherries, raspberries, and plums. There are also hints/suggestions of oak, earth, and savory herbs. This is a rich, dark, spicy, earthy, tannic, creamy delicious Zin that anybody who appreciates a well-made, quality Zin should reach-out and enjoy. As the bouquet suggested, there’s an abundance of red and black fruit, such as raspberries, blackberries, plums, and black/sour cherries, along with a gargantuan amount of spices like black pepper and savory herbs (rosemary, thyme, as well as hints of sage and mint). The wine also exhibits a mountain of earthy elements as well as the perfect amount of sweet, creamy oak. The Caparones employ classic Italian/European winemaking techniques, which results in a red wine with VERY Italian traits, especially as it pertains to tannins and acidity (in the best possible ways). This Zin is very well-balanced with fabulous structure, tremendous complexity and a flavor profile that just doesn’t quit. The finish is smooth and lingers for quite a while. This is an extremely Italianesque wine; it showcases all of the best qualities that a CalItal wine could possibly muster. If you savor rich, tannic, earthy, creamy, and delicious-beyond-belief Italian wines, this wine was made for YOU. If you prefer typical Paso Zin Fruit Bombs (15%+ alcohol, jammy sweet fruit, a one-dimensional flavor profile with almost zero depth), look elsewhere. Somehow/someway, Dave and Marc extracted every last micro-ounce of flavor from their Zinfandel grapes to assemble this gorgeous wine. They age their wines for two years in oak and then bottle-age their wines for another year before releasing them to the public. How they’re able to make such fantastic wines for $14 a bottle is beyond me (especially with all of that patient aging). Their other Italian varietal bottlings are also fantastic (Nebbiolo, Sangiovese, and Aglianico). But I believe the star of the show is this 2004 Zinfandel. I’m as giddy as a 12-year-old girl at a Justin Bieber concert whenever I open one of these fabulous bottles! Note: in fairness, we have to point out that this is by the same blogger who elsewhere wrote the first quotation for this wine. ♦ Unfined, unfiltered, well-aged reds make for big tastes, and that’s what I found at Caparone Winery in Paso Robles. . . What a pleasure to taste — all big and bold, with great character . The wines [are] made by Dave Caparone and his son, Marc Caparone, without any employees. All Caparone wines are unfined, unfiltered, and made with minimal processing. They’re aged two years in small oak barrels. And at $16 each, they’re a great value, in my opinion. ♦ Dave [Caparone] believes that given the winemaking methods at Caparone, their wines have the potential to age fifteen to twenty-five years. For example, he poured a 1986 Caparone Zinfandel at the 2002 Paso Robles Zinfandel festival, and the wine showed beautifully. 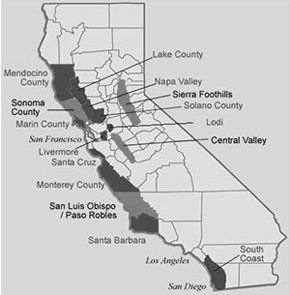 ♦ In 1979, when Caparone selected his vineyard site on 60 acres five miles southwest of Paso Robles, Zinfandel was on his mind. He claims his microclimate and soil is especially suitable for Zinfandel, notably for wines of complexity and balance. His Zinfandel, 1985, is a big Zinfandel in every sense of the word. It has strong structure, a full and spicy aromatic nose, ample flavor and plenty of heat from 13.2% alcohol. This outstanding, aggressive style demands considerable time, but the future is excellent. ♦ As if to prove that California wines can be, should be, and sometimes actually are complete, I am [in 2009] enjoying the 2003 Caparone Zinfandel. A mucklet of sediment splats onto my countertop when I pop the cork, and as I pour I see that the wine suggests fall, a pale rose petal color that foreshadows brown. It even smells slightly autumnal, like a redwood forest on the coast, an aroma that plays well. You wouldn't go wrong with any of Carlisle's Zinfandels, but we finally opted (mainly on its having a very slightly lower price than the several other like-rated Carlisle Zins) for the Carlisle "Montafi Ranch" Zinfandel (Rusian River Valley). This page was last modified on Saturday, 3 June 2017, at 2:33 am Pacific Time.